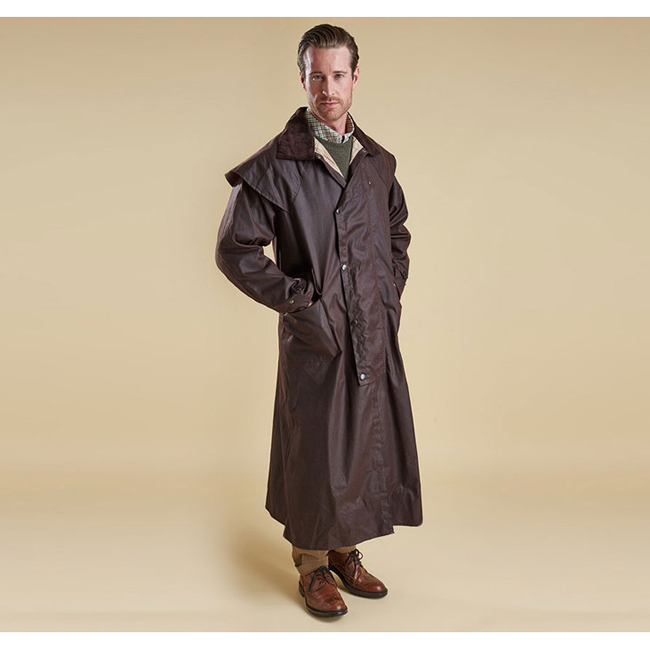 Barbour’s vast history of supplying outerwear for extreme weather defence is epitomised by the long-established Stockman coat. Based on a style originating in New Zealand and favoured by drovers and stockmen, this distinctive men's waxed coat provides full coverage and uncompromising protection, thanks to its heavyweight waxed cotton outer and double storm fly front with stud fastenings. The traditional corduroy collar is studded to take an optional hood and features a Velcro-fastening throat strap for additional protection in bad weather, while the sewn-down storm cape shields against downpours. Very warm. I expected to suffice for a NorthFace but it's just as warm as any north face fleece. Good quality at a reasonable price. Great product..love the quality, but runs a little small. If you like it roomy, then order up a size.